Emergency Physicians Insurance Exchange RRG (EPIX) is a partnership of some of the best independent emergency and urgent care medicine groups in the country. EPIX groups are committed to raising the standard of patient safety to reduce risk factors that lead to malpractice claims. 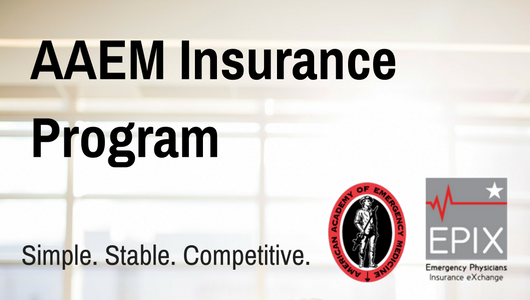 This partnership model assures a standard of high quality risk management practice that is essential to providing long-term, stable and affordable insurance for our groups. In need of other lines of insurance? The EPIX Extra™ program includes life, health, disability, workers’ compensation, and more. Log-in using your AAEM username and password to get started!